Tameo Metal Built models latest arrivals! 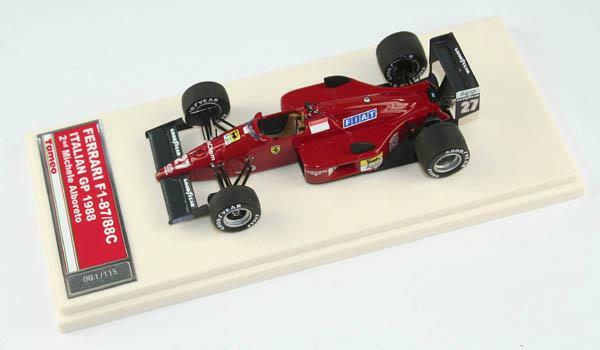 The latest arrivals from Tameo are two versions of the 1988 Ferrari F1: the F87/88c. 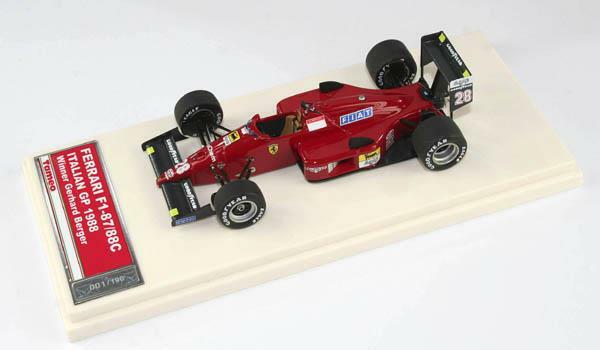 Both models are from the Italian 1988 Grand Prix, won so dramatically by the Scuderia in a 1-2 win. TMB021 is the winning car from Gerhard Berger, who passed a few laps before the end the stranded McLaren of Ayrton Senna. TMB022 is the sister car of Michele Alboreto (#27) who finished second to complete the Ferrari party. Monza exploded that day. Both models come in a luxury box with certificate. TMB021 is a limited edition of 190 models, TMB022 of 115 models. Both models IN STOCK. Please take a look at the full series HERE. 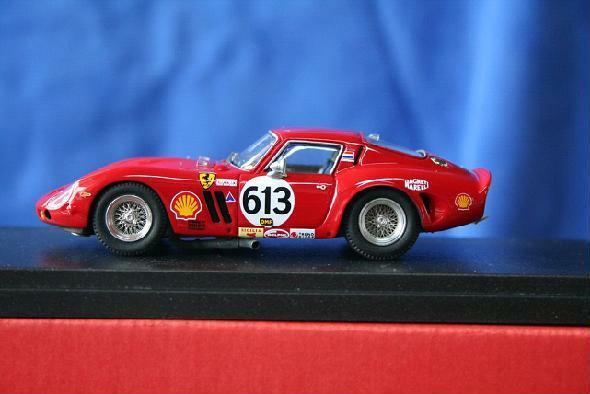 Ever since 1989 one Ferrari 250 GTO has a Dutch owner: Frits Kroymans, the Ferrari importer to Holland. Still never before has there been a model of this Kroymans-GTO. There was a model of the car as it ran at Le Mans in 1963, but never one of the many historic races where Kroymans entered it. 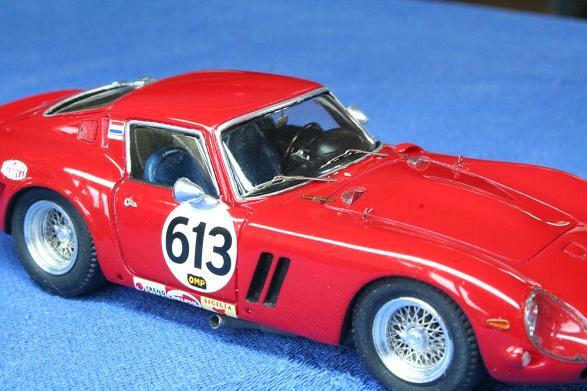 De Roos Autominiaturen now stirs a surprise: a model of this 250 GTO! Ferrari 250 GTO, chassis 4757GT appeared at the Ferrari 60 Relay at the grounds of Royal Palace Soestdijk, honoring the Dutch stage. As a dessert for all festivities DRA releases this model. This ‘62 GTO with some unique characteristics (the yellow fog lights, the wire wheels and the ‘bullet’ mirrors) is hand built with a high gloss paint. 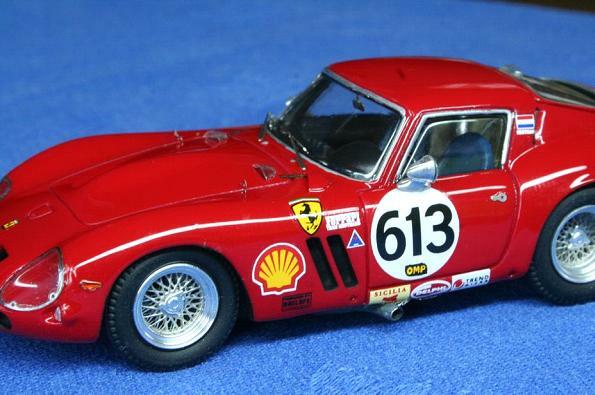 The model bears the exact livery as its appearance in the Ferrari 60 Relay. This model is limited to 60 pieces only. Each model is numbered and mounted in a display box. Order yours soon: 95,- euro each (shipping costs for Holland 6,95 euro, other countries: please consult). Order by e-mail, fax or telephone.